In this episode, Dave is joined by Non and Jess from the Joy Sandwich Podcast. 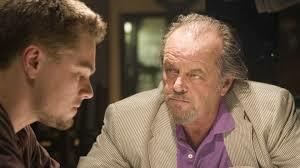 We talk about Oscar winner, The Departed. To focus the discussion Dave discusses the ideas of honesty and dishonesty, which is not as black and white as you might think. Britt joins us for Fangirl Fixation to talk about a movie that actually surprises her for once!